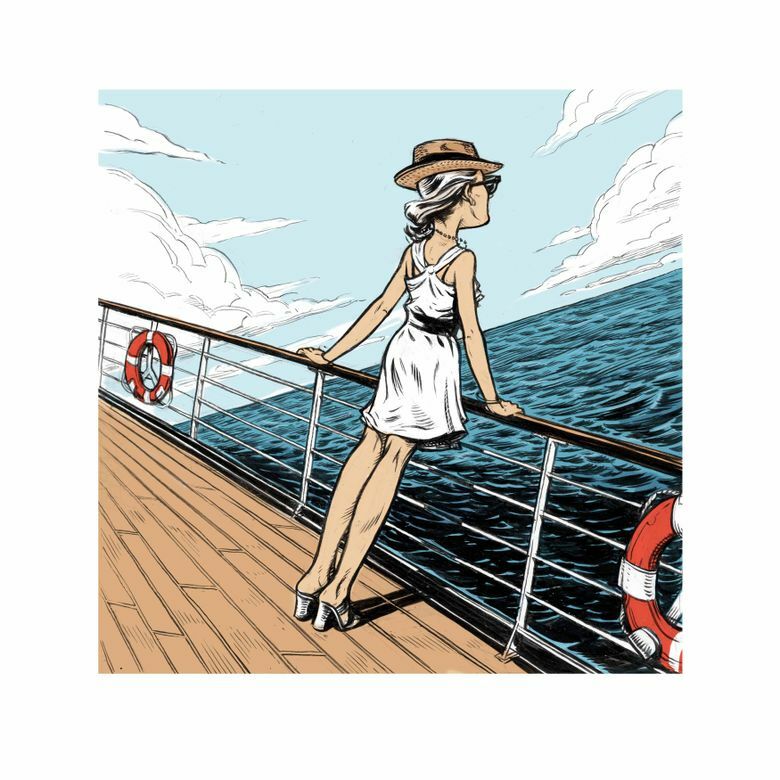 Four strategies for conquering — or at least reducing — the unpleasant malady that can hit you on car, boat or plane trips. Motion sickness — an inner-ear disorder that causes nausea, dizziness and even vomiting — is an unpleasant but common occurrence on car, boat and plane trips, says Dr. Jennifer Derebery, a physician at the House Clinic, in Los Angeles who specializes in ear disorders. “Motion sickness happens when there is an imbalance between the eyes, inner ears and spinal cord, but fortunately, there are ways to reduce the chances of it hitting you,” she said. Derebery offered these prevention tips. When motion sickness hits, it’s natural to want to keep your eyes shut or lie down, but Derebery recommends doing the opposite. “The key to recovering from motion sickness within minutes is to look toward the movement that’s happening, because doing so will reorient your inner ear,” she said. This means that if you’re in a car, look at the road ahead, and if you’re on a cruise ship, stand on a deck and look at the water or the horizon in the direction the ship is moving. You can’t see movement ahead while sitting on a plane, but staring out a window and seeing the clouds and the ground underneath you alleviates symptoms, Derebery said. You can prevent the onset of motion sickness or lessen its severity. On car trips, be the driver or sit in the front passenger seat because, in either instance, you’ll be looking ahead at movement. And avoid reading, watching television and texting — all can throw off inner ear balance, Derebery said. On planes, request the window seat, and on cruise ships, book a room with a window, preferably in the stern or back of the ship because this area doesn’t have as much up-and-down motion as the front of the ship. Over-the-counter antihistamines such as Antivert, Benadryl and Dramamine help with motion sickness — those prone to getting sick should take the recommended dosage an hour before their journey starts. These medicines can bring on sleepiness, and Derebery doesn’t recommend them if you’re driving. As an alternative to drugs, some may find motion sickness wristbands helpful. They have a button that presses a wrist point that affects inner ear balance. For cruises, she suggested getting a prescription for a transdermal scopolamine patch, which keeps the inner ear in balance. Fried food, spicy food and rich dishes like fettuccine Alfredo can worsen the nausea that comes with motion sickness. “These harder-to-digest foods increase the chances that you’ll throw up,” Derebery said. Before and during your trip, it’s best to stick to easily digestible foods like chicken noodle soup, bagels and crackers. To drink, go for carbonated clear liquids like ginger ale, which are helpful with nausea.